As I'm pondering and planning my year of INSPIRATION, I'm making my word visible in several places. Like last year, I used letters to spell out the word on our fridge. I also included it on the inside of my calendar/planner. 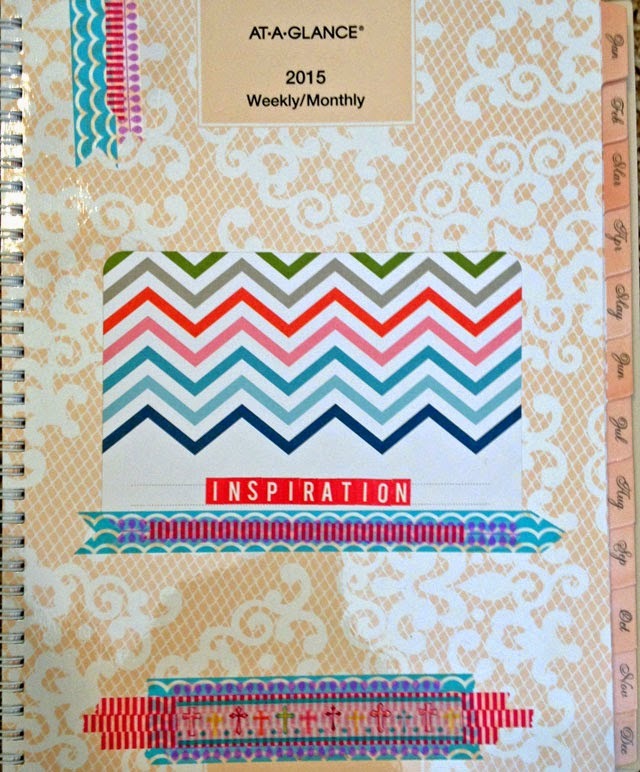 I added it to the title page in my INSPIRATION notebook. 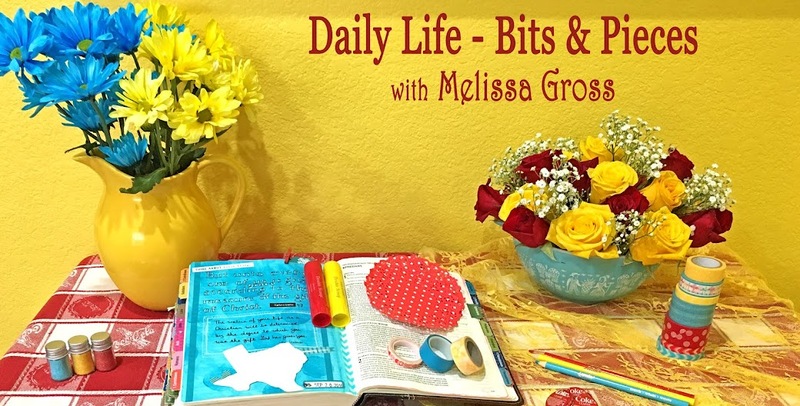 At Crafty Tuesday earlier this week, several of us created vision boards. 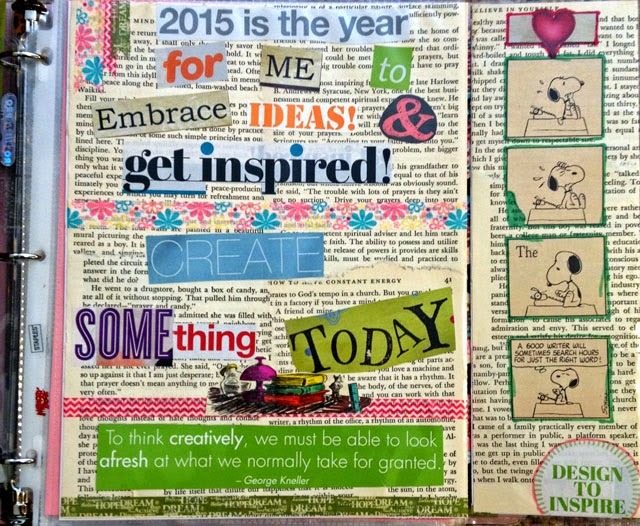 I enjoyed having my FUN vision board in my FUN album last year, so I chose a similar format for this year. I used an 8 1/2 x 11 page protector that has a 3x11 flap on one side. Here's how it looks in the album with the flap closed. And with the flap open. 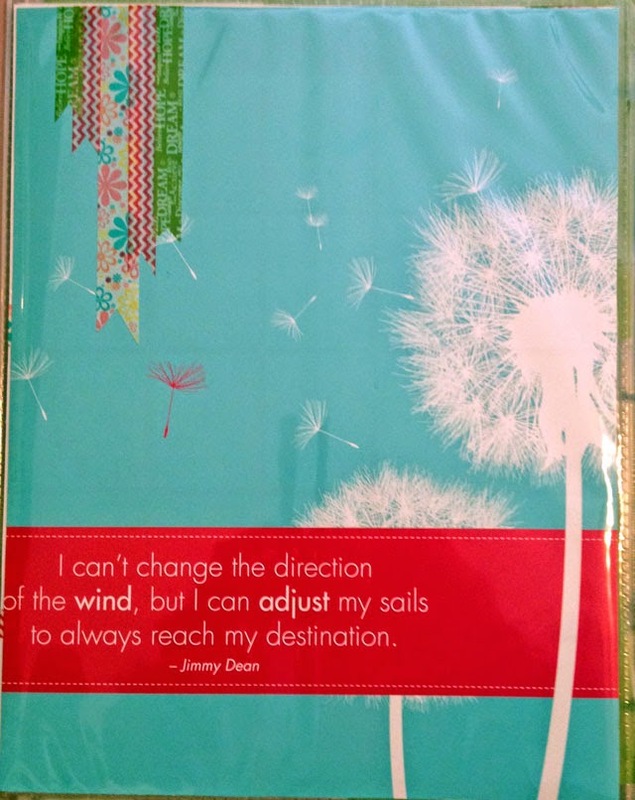 For the back side of the page protector, I included a quote page from an old calendar. 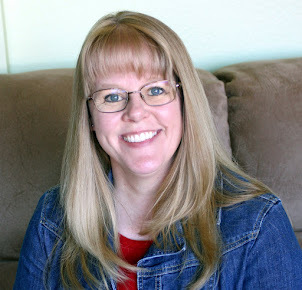 I'm currently working through and enjoying the INSPIRATION in the Simple Scrapper Start Fresh planning event as well as reviewing the first few prompts from last year's One Little Word class and will be sharing plans for my year of INSPIRATION in a future post. How have you made your word visible this year? I love the vision board--great ideas and the collage is so effective! 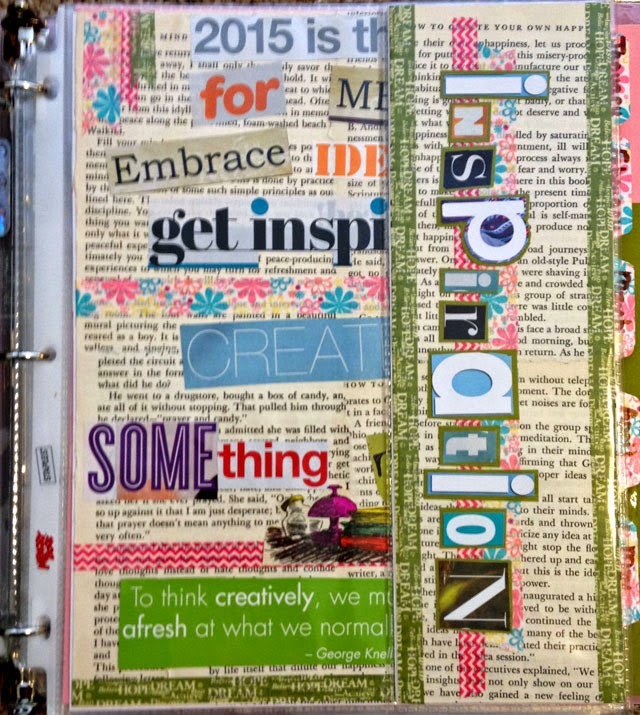 What a fun way to stay and be inspired in 2015! Vision boards are so useful, I really should do that more often for inspiration. I really love all the ways you are keeping your word visible. I love that Snoopy cartoon! And your Jimmy quote is, of course, right up my street - or should I say 'sea':). Of all the people I know doing OLW, you are the most dedicated. Right there you are an inspiration to others! I so enjoyed your FUN year last year and am looking forward to the INSPIRATION you will share this year.